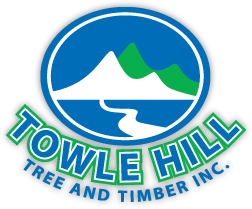 Towle Hill’s commercial logging services are both efficient and cost effective. With highly skilled professionals and state of the industry equipment, Towle Hill will conduct logging operations and expert land clearing with operations coming in on time and on budget. Our operations include felling trees and properly trimming and preparing the trees for shipment. Our land clearing services include both commercial and residential clearing. Our land clearing operations include tree removal and trimming as well as the cutting and removal of all brush and deadwood. Increase the value and beauty of your property and give those commercial spaces the clean and dignified look that will only bring added value and appeal for both yourself, your clients and customers.